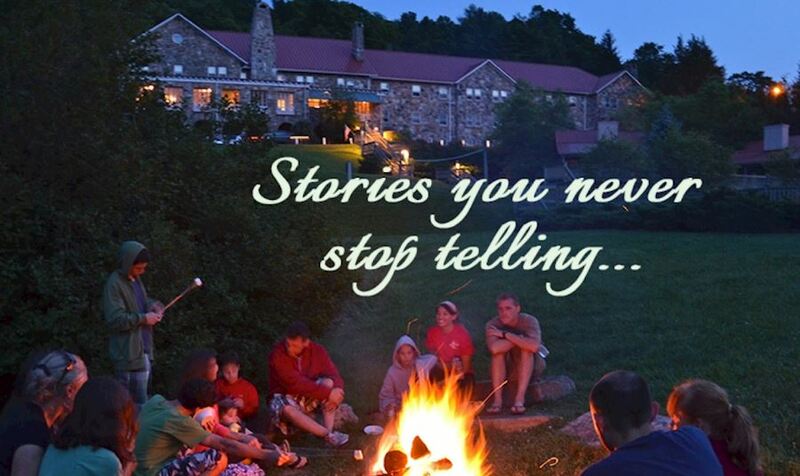 Mountain Lake Lodge is your new home away from home, where every family leaves with the stories they'll never want to stop telling. It's a place where you come to disconnect from technology, stress, and your everyday grind to reconnect with what's most important in life, each other. Here's a guide to a memorable family weekend getaway. Our property has nearly 100 different accommodations including standard rooms in the Main Stone Lodge, Front Lawn Cottages, and our Blueberry Ridge Mountain Homes. Our Main Stone Lodge offers Family Suites, these suites have adjoining rooms for the kids! The Family Suites are a wonderful option if you want to stay in the historic Main Stone Lodge and be ‘un-plugged', these suites don't have a TV. If you're interested in a little bit of privacy but want a quick walk to the Lodge or pool area, our Front Lawn Cottages are the best option. Our Front Lawn Cottages have different options for adjoining rooms or you can rent an entire cabin just for your family! Some of these historic cabins have fully working fireplaces, but all of them have mini-fridges, microwaves, and coffee pots, so you can have a leisurely morning waiting for the kids to wake up. Our Blueberry Ridge Mountain Homes are great for families. All of these homes have a full kitchen, screened in porch, fireplace, and spacious living area while comfortably sleeping the whole family (anywhere from 4-16 people)! These homes are nestled in the mountains for extra privacy and, and as an added bonus, are just a 5-minute walk to the Main Stone Lodge, don't worry, we also rent golf carts if you want to motor around in style. All of these accommodations offer easy access to Stony Creek Tavern and Harvest Restaurant. Click this link to check out the hours and menus! Start in Harvest for a delicious breakfast to fuel your day's activities. If you haven't already, give Outfitters a call to schedule a time for your family to visit the Adventure Center. The Treetop Adventure Course (an aerial zip-line and challenge course) is one of the most popular activities here because we have two different adult courses and a kid's course! If you breeze through the course and are looking for more fun, The Adventure Center also offers 3D Archery (with Bigfoot! ), Archery Tag, The Escape Room, Sky Slide, and Bubble Ball! Click each one to learn more about them and book your time! 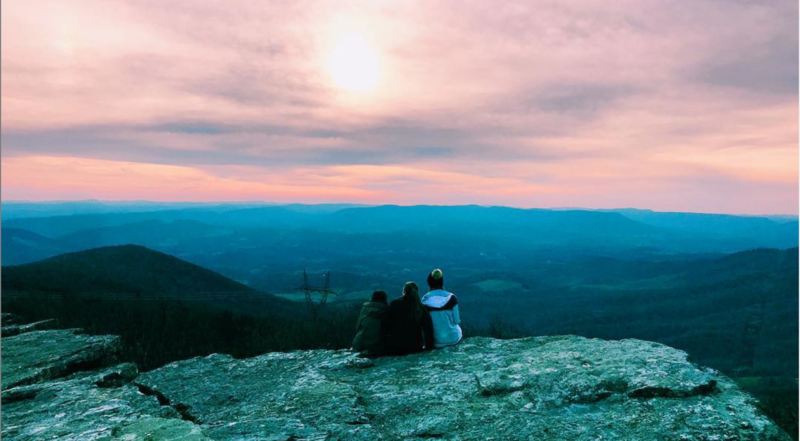 After your fun filled day, we'd recommend making your dinner reservation in Harvest for an earlier time, because after dinner, you'll want to go on a sunset hike to Bald Knob. The hike is less than half a mile, taking about 30 minutes to complete and has one of the best views in Virginia. The breath-taking views at the end of the hike are completely worth it, and is an easy hike for everyone to enjoy! Bring your camera, the views and sunset make it a great back drop for pictures. In the summer, the sun usually sets between 7:30 - 8 pm, make sure you don't miss it! We can't wait for our New Pool Complex to be open in June! It'll be a great way to spend the day or relax after a full day of activities at The Adventure Center. The complex features 2 pools with fun spray features for kids at the zero entry side, with a hot tub for mom and dad. There will be plenty of seating along with pool servers, along with a full menu offering refreshing drinks and appetizers; you'll find yourself spending more than just an hour here! We're so excited for the pool to be open in for the 3rd of July Celebration because it'll be the best way to beat the heat while you wait for the fireworks show to start! 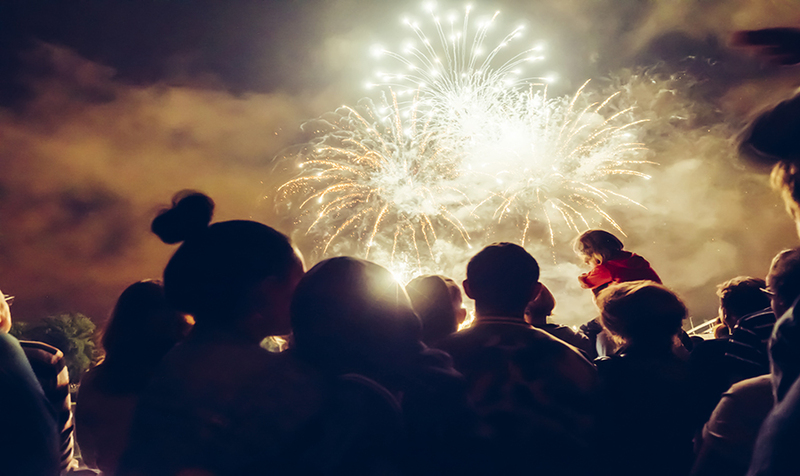 Celebrate with us, on July 3rd with 2 live bands, a barbeque on the Front Lawn, and the best fireworks show in the New River Valley! Our July Celebration Package is a great option for families during this week - breakfast in Harvest in included every day and we help with your planning because we'll have a full itinerary of fun activities to choose from! Now, our favorite part of the trip. After it gets dark, stop by the front desk and ask for a "S'mores Kit". Throw on some cozy clothes and make your way down to the front lawn fire pit where you can roast s'mores, and relax. We're so excited to be the place where memories are made, and the stories you never stop telling start with "At Mountain Lake…"